Carefree sixteen-year-old Levon and contemplative seventeen-year-old Harmony are best friends and family – his DJ dad and her yogi father have been in love for years, and they all live together in Chicago’s vibrant Boystown neighborhood. So what if the dads have been arguing more lately, Levon’s latest girlfriend just had a pregnancy scare, and two summers ago, Levon and H Carefree sixteen-year-old Levon and contemplative seventeen-year-old Harmony are best friends and family – his DJ dad and her yogi father have been in love for years, and they all live together in Chicago’s vibrant Boystown neighborhood. So what if the dads have been arguing more lately, Levon’s latest girlfriend just had a pregnancy scare, and two summers ago, Levon and Harmony’s relationship crossed a very important line? They don’t need anyone but each other – until one September afternoon when Levon returns home to a half-empty apartment. Harmony and her father have moved to Los Angeles, where Harmony discovers a new side of herself, including an attraction to enigmatic classmate Elke. Meanwhile, back in Chicago, Levon tries to adjust to life without Harmony and with an increasingly distant dad, throwing himself into a choice role in The Nutcracker and considering a professional dance career that would take him far away from the city he’s always called home. 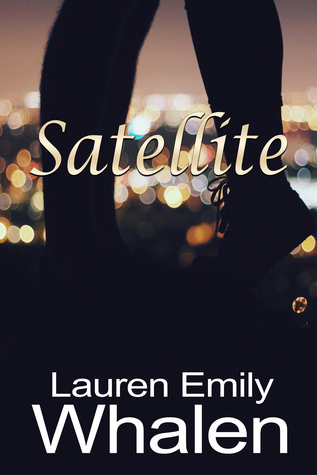 But as Levon and Harmony drift apart and back together, a sudden tragedy reveals a secret kept by their blended families – a secret that could change their already-complex relationship forever. Really great story and characters. I hope there's another book that picks up where this one left off! I found myself really caring about Lee and Harmony. Fantastic debut!